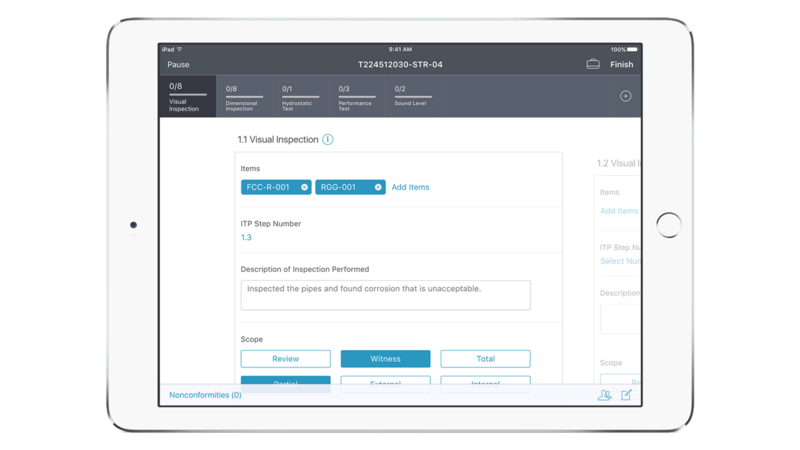 IBM MobileFirst for iOS Material Inspect provides inspectors with information to prepare and conduct material inspections, while collaborating with all parties. IBM MobileFirst for iOS Material Inspect provides inspectors with information needed to prepare and conduct the inspection of materials and services – in collaboration with all parties involved. Using built-in analytics, the app gathers data across a population of similar construction materials enabling material inspectors to conduct an efficient inspection. There are significant risks in the construction industry due to variability in the productivity and effectiveness of material inspection. Material Inspect minimizes these risks through powerful analytics and puts inspection information at an inspector’s fingertips. Material Inspect’s built-in analytics make material performance histories available to the inspector. The inspector benefits from hands-free operation and directions to inspection location – leading to a shorter overall job time. Analytics recommendations and real-time collaboration with experts can lead to better decision making.